We begin this episode of Pittsburgh 360 with the story of an officer who was injured in the line of duty and how he’s working to make his way back to being an active duty officer again. Then, we’ll show you where you can take your precious china, old family photos or other keepsakes that you’d like to preserve for the next generation. After that, we’ll introduce you to a woman with a passion for preserving Italian-American gardens before giving you a recap of the 2014 Mid-Atlantic Emmy Awards. We begin this episode of Pittsburgh 360 with a trip down the Allegheny River to a retreat spot called Choderwood. Then, we give you a preview of the domestic violence special “Will’s Story: A Steelers Stand Against Domestic Violence” before ending the episode with our fourth and final episode in our Men & Cancer series. 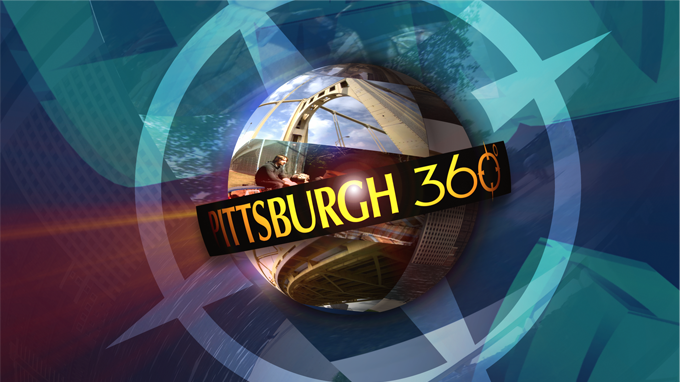 On this episode of Pittsburgh 360, we bring you a preview of Pittsburgh from the Water, our second story in the series Men & Cancer focusing on the diagnosis of prostate cancer, and will conclude the episode with a story on Michael Griska, a man in love with music and the melody of the sitar. We begin the fifth season of Pittsburgh 360 with a preview of “Closing the Gap”, a discussion on the factors behind the nations gender wage disparity and strategies to help close the pay gap. Then, we bring you the first segment in our series “Men & Cancer” by focusing on colorectal cancer and the importance of early detection. We’ll also introduce you to a Butler County man who designed a water craft that fits in your car and bring you the story of how hundreds of young gymnasts flipped their way into the record books. We begin this episode of Pittsburgh 360 by following host Tonia Caruso to the Mon Valley where she finds out what Heritage Community Initiatives is doing to continue the revival in the Mon Valley area and make a difference in the lives of those who live there. Then we’re going back to school to learn some of the history of the Pittsburgh Public Schools. And finally, we’re reliving days gone by with stories and old baseball photos taken during the days of Forbes Field. It's lights, camera, action in this episode of Pittsburgh 360, as we look at the new face of movie-making in Pittsburgh in a tour the bustling 31st Street Studios in the Strip District. We also follow the fascinating story of Hollywood star Carole Lombard, her fairytale life and tragic death as told by Pittsburgh author Robert Matzen. Plus we meet Pittsburgh's inaugural Rock & Roll Hall of Fame inductee, Rich Engler.